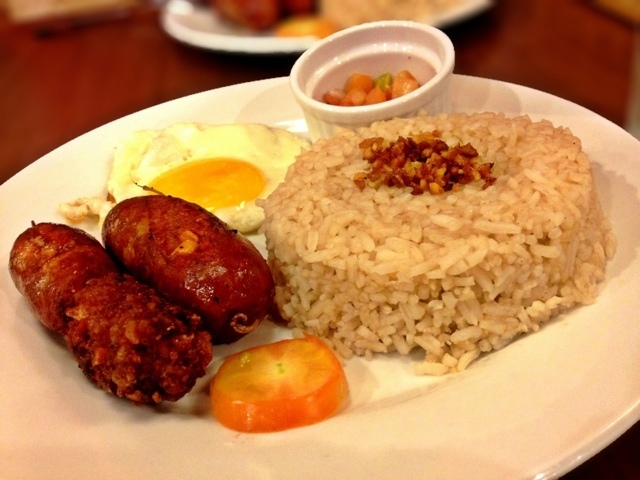 Longganisa – a native sausage popular in our country and a common viand during breakfast partnered with sunny side-up eggs and garlic rice or popularly known as Long-Si-Log (LONGganisa-SInangag-itLOG). 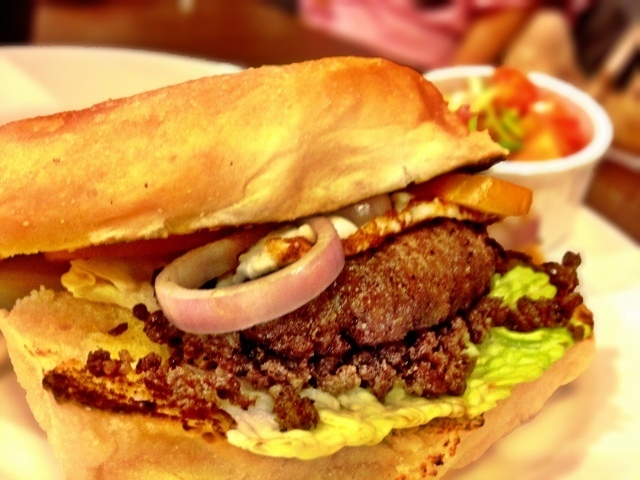 Also considered as comfort food by a lot of Filipinos. My family loves longganisa to a fault! 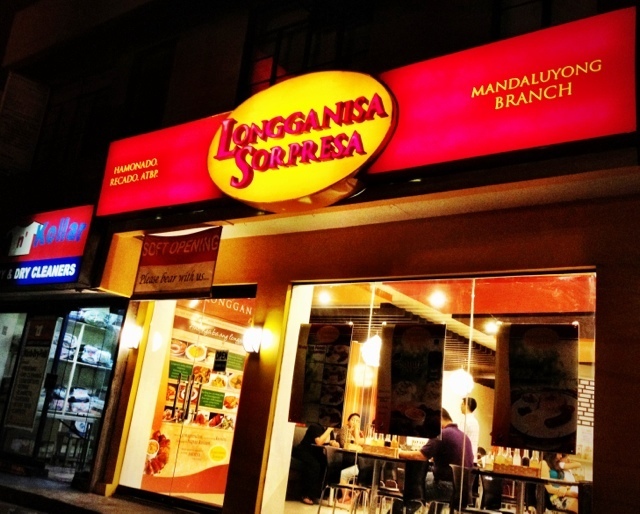 So, when we learned that “Longganisa Sorpresa” opened in Maysilo, Mandaluyong… a mere 10-minute car ride from our place, my husband and I immediately took our kids to the newly opened establishent to try out their offerings. The place is pretty simple. The restaurant doesn’t have any fancy interior design nor significant decorations. But one thing they did have which mattered the most wasn’t one you could see, but something you could definitely smell – the distinct and unmistakable scent of yummy longganisa being cooked from the kitchen. Alaminos, Baguio, Cabanatuan, Calumpit, Laoag, Lucban, Tuguegarao and Vigan. Hamonado: matamis (sweet), pinausukan (smoked). Cabanatuan (Batutay), Davao, Cagayan de Oro, General Santos, Cebu and Pampanga. You can order your choice of Long-Si-Log (LONGganisa-SInangag-itLOG) for only Php99.00 per order with free iced tea. Since my boys and I prefer salty and garlicky longganisa, we opted for 3 orders of the Vigan longganisa meal. In addition, my husband requested for a separate order of Cabanatuan longganisa because he thought their serving would be small. My daughter, on the other hand, decided to try their Choripan (chorizo pandesal) – a dish that is somewhat both sweet and salty. I actually liked it too! If I was to order this next time, I’d partner the Choripan with a cup of hot coffee or chocolate. Winner! Just like hotdog and ketchup, longganisa and vinegar go hand in hand. 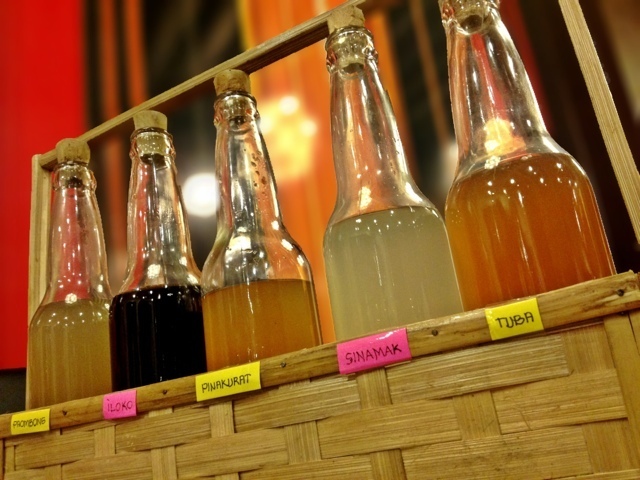 But just like longganisa, the Philippines boasts a wide variety of vinegar as well. So, how does Longganisa Sorpresa choose which vinegar works best, you ask? They don’t… Since we all have diverse tastes and preferences, the restaurant provides each table with a set of assorted vinegars in cute generic bottles. Nice. 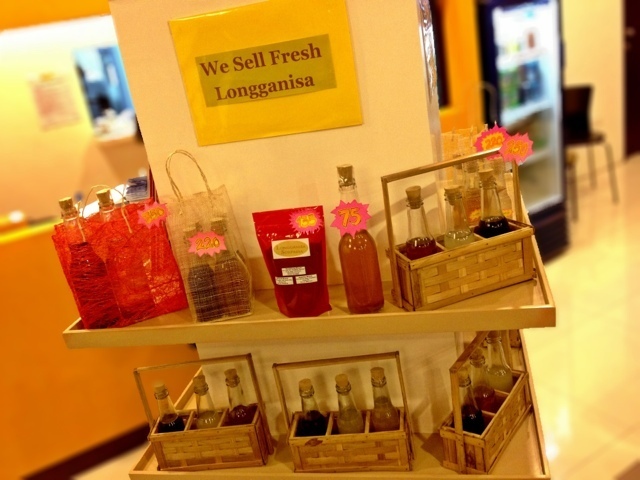 Interestingly, just like their wide variety of fresh longganisa, their cute vinegar set can be purchased from them as well. On a side note, should you crave for something sweet after a round (or rounds) of yummy longga, whatever you do – DO NOT pick their Sansrival! 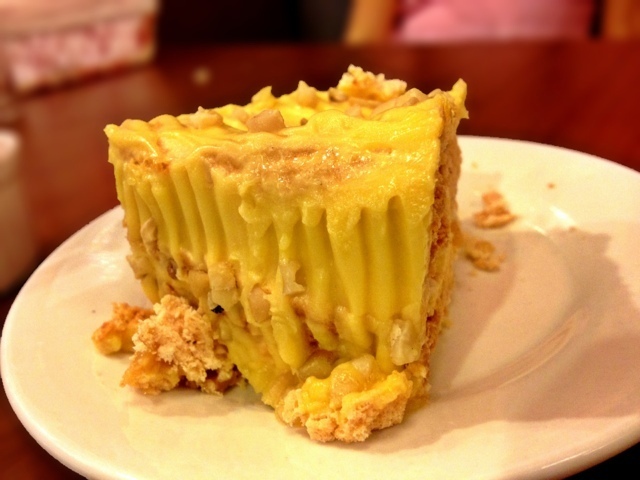 It just doesn’t taste well – very crumbly and margarine-y! It’s got “NAKAKA LULA” spelled all over it. Overall, we enjoyed “Longganisa Sorpresa” a whole lot. Very friendly in the pocket. Budget-friendly without compromising taste and quantity. Alaminos Longganisa in general is not tasty. Vigan Longganisa still is the best!